Your gift will help further the ministry of John & Beth Lasley with Global Training Network as they seek to encourage and equip church planters, pastors, and Christian leaders throughout the Majority World. John spent most of his growing up years in French-speaking West Africa where his parents were missionaries. At the age of eight, he came to realize his need for a Savior and surrendered his life to Christ. But it wasn’t until his high school years, in boarding school, that his faith in Christ began to really become his own. It was then that the Lord confirmed his call into ministry. After graduating and returning to the States, John attended Vanguard University in California where he received a degree in Church Ministries with a pastoral emphasis. During this time that he met and fell in love with Beth, and they were married in 1980. After graduation, John served for a short time at a church in the Los Angeles area as a Children’s Pastor. 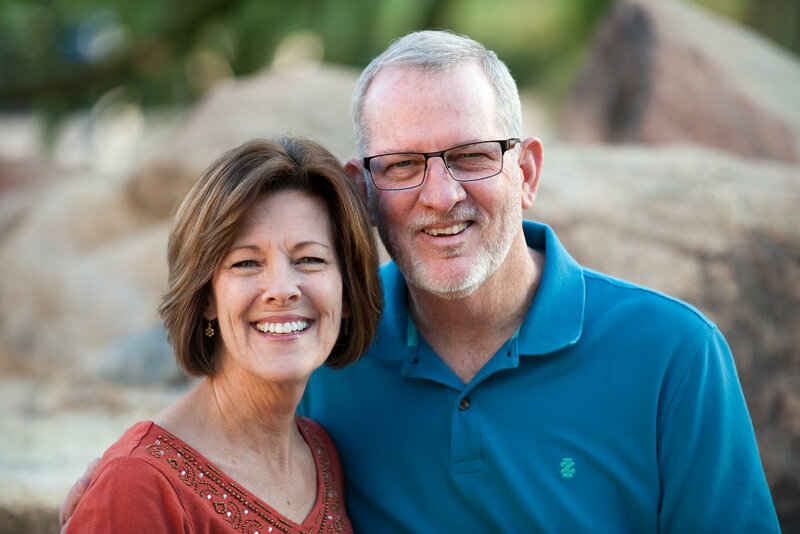 Then, in 1984, John and his family moved to Phoenix where he served as an associate pastor and elder at Northwest Community Church (NCC) for nearly 33 years. His areas of responsibility over the years included Children’s Ministry, Family Ministry, Discipleship/Counseling Ministry, facilities oversight, pastoral care, and missions. John has also been involved for over 15 years with church leaders in Peru where he has helped with strategic planning, leadership training, and discipleship. He has a strong desire to see people come to Christ and know the joy and freedom of living for Him. John has a heart of compassion for those who are struggling and finds pleasure in seeing God and His Word transform their lives. Throughout John’s ministry, his wife, Beth, has served with him in counseling couples and developing leaders. She has also been actively involved in discipling women. For the last nine years before joining GTN, she served as the Director of the Children’s Ministry at NCC. John and Beth have three grown children and four grandchildren. They currently reside in Peoria, Arizona.